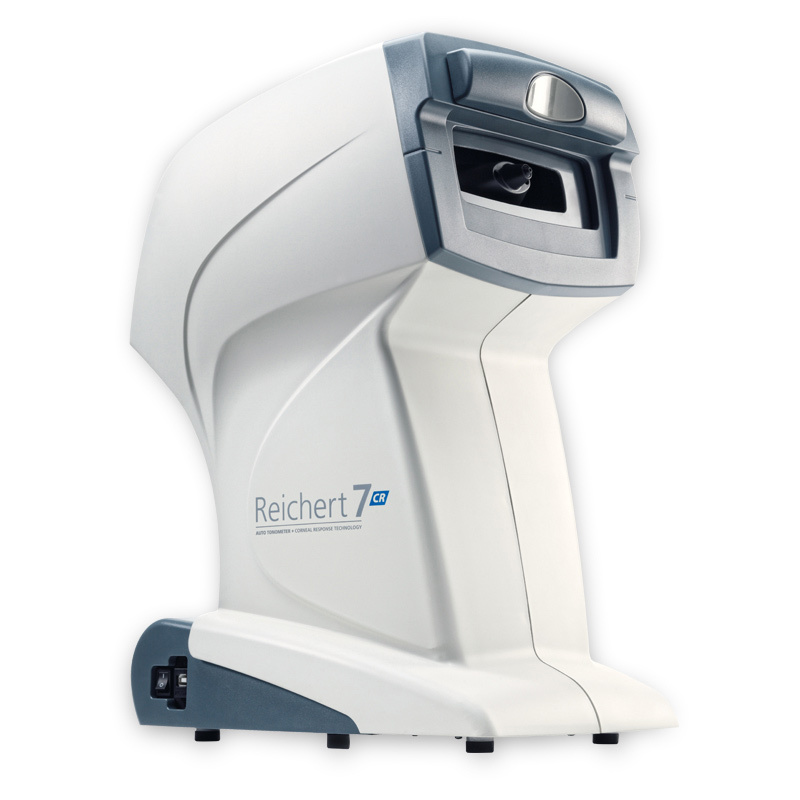 The Reichert 7CR is more clinically valid in all subjects, including: normal tension glaucoma patients, primary open angle glaucoma patients, post-LASIK and refractive surgery patients, patients with Fuchs' or corneal edema, keratoconus patients, and patients with thick, thin, or otherwise biomechanically atypical corneas. The Reichert 7CR employs an advanced signal-scoring feature that helps ensure the accuracy and reliability of measurement results. Each measurement is assigned a score based on internally-processed signal analysis algorithm. Scores below a certain threshold are indicated as unreliable. When multiple measurements are taken on the same eye, an intelligent averaging technique provides a weighted average, dependent upon the waveform score. 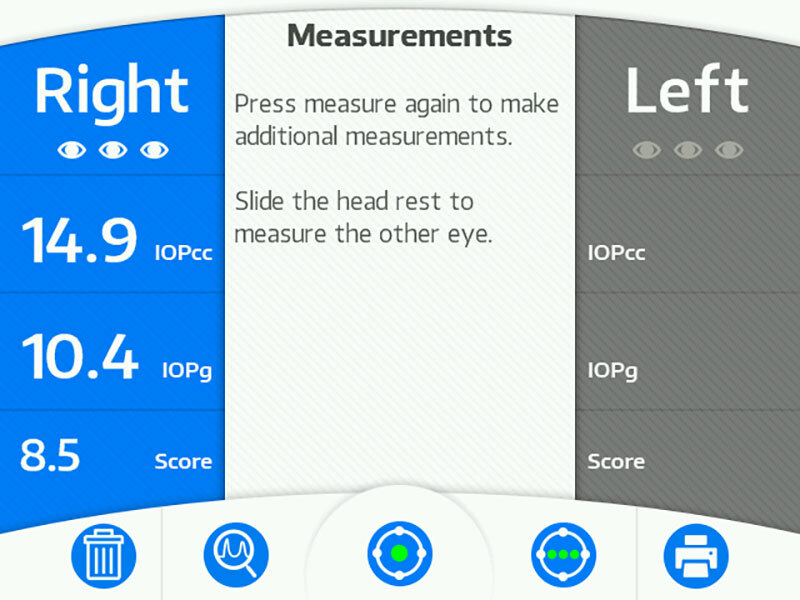 No other tonometer provides operators with objective feedback about the quality of the measurement taken! Alignment and measurement with the Reichert 7CR are FULLY AUTOMATED. A collimated air-jet provides gentle force to the cornea while an electro-optical system monitors the applanation process. The result is a rapid measurement that is comfortable and non-intimidating for the patient and simple for any operator to execute. Best of all, the measurement is non-contact so no anesthesia is required and there is no risk of cross contamination. 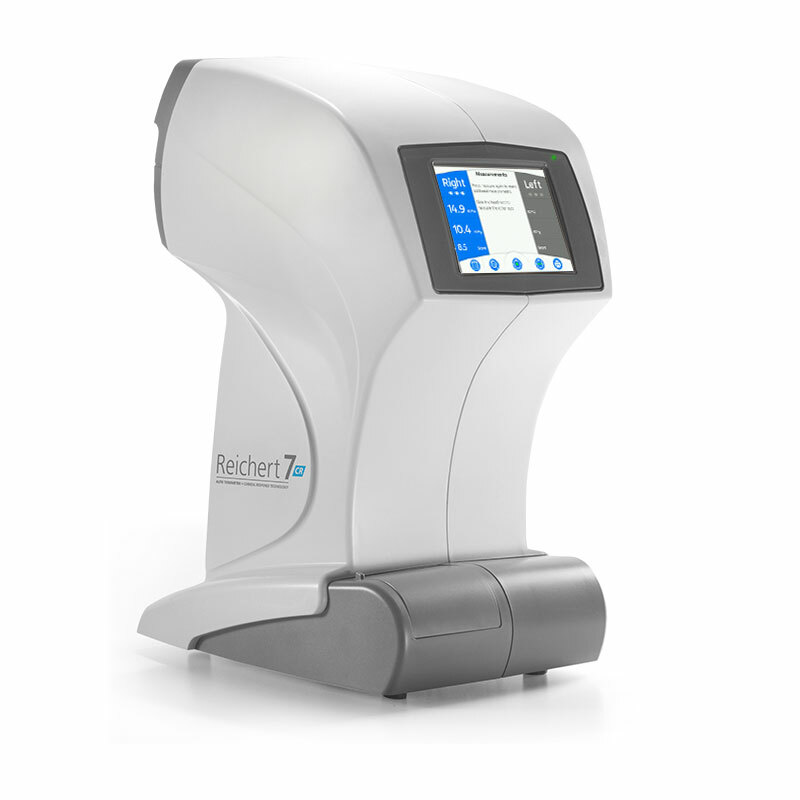 The Reichert 7CR applanation detection system monitors the change in corneal curvature in real time, recording 400 data samples during the 25 millisecond measurement process! This unique feature ensures that the appropriate applanation force is automatically delivered to each eye being measured. The all-new touch screen interface features an easy-to-use icon-based operating system enabling even inexperienced users to make measurements in seconds. The full color display guides the operator through the measurement process showing everything from the alignment of the eye, to the display of the readings. Patients simply lean against the forehead rest while the fully automated alignment and measurement takes place. The speed and simplicity of the Reichert 7CR are unlike any other tonometer!